Renaissance Lawyer Society began as an organization of visionary lawyers at the cutting edge of an exciting worldwide movement, transforming the practice of law. The early idea was a product of some 2000 brainstorming sessions between North Carolina attorneys, J. Kim Wright and Bryden Manning, and New York attorney, Carolyn Hansen, who were originally searching for a vehicle for their coaching and healing practices. When Kim left her holistic family law practice in Graham, North Carolina, for Portland, Oregon, she also temporarily left the practice of law to research this movement. Dozens of conferences and books, hundreds of conversations and thousands of contacts later, she developed the initial website, a clearinghouse for information about new developments in collaborative law, restorative justice, therapeutic jurisprudence, creative problem-solving and dozens of other holistic approaches to law. The site was over 400 pages long. Out of the initial research and work, Kim began to realize that a movement was arising and declared that “Renaissance Lawyer” would be a clearinghouse of information for lawyers practicing in new and innovative, even transformative ways. After an initial series of teleconference classes and e-mails showed a clear interest amongst hundreds of lawyers, Kim invited all members of her mailing list to declare exactly how they wanted to help move the structure of the organization along. Eight committed legal professionals declared themselves members of the “Leaders Circle,” who committed their time, money, and talents to meet for a planning weekend in Las Vegas, Nevada in June, 2001. Along with Kim were Dolly Garlo, attorney and coach from Florida; Pat Sullivan, author, minister and legal assistant from California; Carolyn Hansen, attorney and energetic healer from New York; Cheryl Stephens, attorney and coach from Canada; Allison Tiffany, attorney and coach from Nevada; Marilyn Westerfield, attorney and coach from Maine; and Kevin Ginsberg, attorney and massage therapist from North Carolina. With the help and encouragement of Stacy Hall and Jan Brogniez (www.perfectcustomer.com), they developed the initial concepts for creation of a new organization. The Leaders Circle became the original Board of Directors of “Renaissance Lawyer International,” each taking on a specific accountability such as programming, membership, and public relations. Shortly thereafter, the name was changed to “Renaissance Lawyer Society,” articles of incorporation and by-laws were drafted, and the organization was gaining steam. Our 501(c)3 status was approved in 2004. In the summer of 2001, the Board of Directors opened the organization for membership. Our initial offering was to ask “Founding Members” for gifts of $100 each to establish the organization. 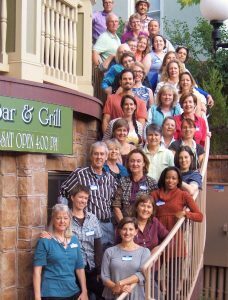 Over 100 Founding Members flooded forward in a matter of weeks, 33 of them attended the first Renaissance Lawyer Society conference in Portland, Oregon over Martin Luther King, Jr. weekend in January, 2002. It was an exciting weekend in which members met to further clarify the organizational structure, purpose, mission and values. Enduring friendships were made and members inspired each other to step forward in their communities. The original Board of Directors met by teleconference for one hour every Tuesday for the initial year before tapering back to once every two weeks, and then once a month. Board members have changed over the years, but the organization was always led by legal professionals with shared values and commitments to the future of the law. A Board of Advisers also served to lend guidance to the organization. Board of directors meeting in Memphis. 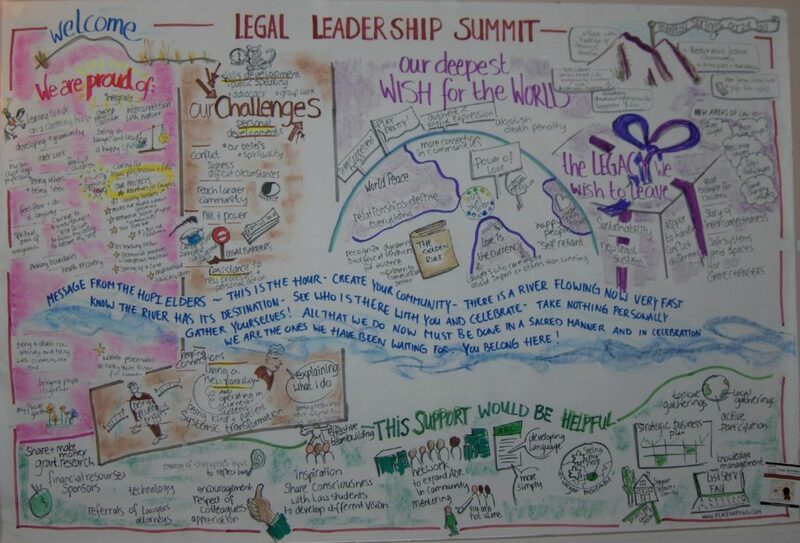 In 2004, the organization’s tag-line was changed from “Creating a Legal System that Works for Everyone” to “Supporting Legal Innovation and Transformation” in order to better communicate what it is that we do. In 2007, with Maureen Holland at the helm, RLS co-sponsored a successful conference in Memphis, “Lawyers as Peacemakers.” The results are still reverberating and several trainings have been offered as follow-ups to the conference. For many years, we published The Cable. The early Cable was an emailed calendar of events and announcements about the growing movement. Originally about four pages of information, the growing movement soon exceeded 16 pages of conferences, teleclasses, seminars, jobs, and announcements. A valuable contribution to the community, it took days to assemble and edit and burned out several board members who volunteered to edit and post it. Former President Jeanne Fahey was a dedicated editor and consolidated information for the Cable for many issues. The Cable was the early inspiration for founder, Kim Wright’s website, www.cuttingedgelaw.com. With the launch of founder, J. Kim Wright’s site in 2009, the information previously provided by the RLS web site had a more dynamic presence that could be continually updated and the old static site was retired. From the content, Kim compiled her American Bar Association best-selling book “Lawyers as Peacemakers: Practicing Holistic, Problem-solving Law,” which was published in 2010. The book was 562 pages with 75 pages of resources, but Kim said that by publication, there was already enough content for a second volume. In March, 2009, a long-term board was seated. Kevin Ginsberg, a founding board member who has served from the beginning, remains on the board. [Kevin is the only one to have been on the board since the beginning, without a break.] Dolly Garlo and J. Kim Wright, members of the first board returned as board members. Kate Carter served as President from 2009-2013 and continues as a board member. Dolly Garlo took the reins after Kate and is currently the President of the Board. 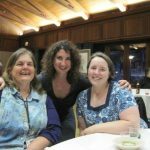 In 2011, when the International Alliance of Holistic Lawyers dissolved, IAHL leaders Laura Parrett Davenport and Gretchen Duhaime joined the board. 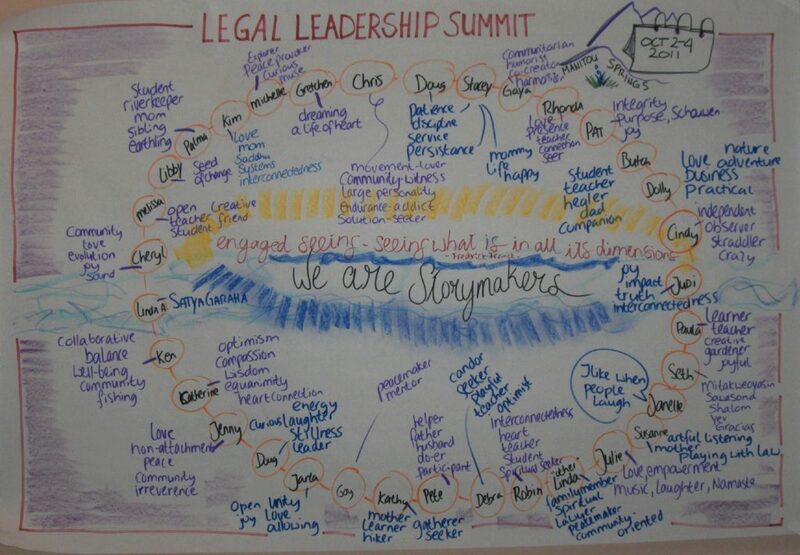 Later that year, the movement also took on a new name: INTEGRATIVE LAW after a new Legal Leadership Summit held in Manitou Springs, Colorado. Several founding members of Renaissance Lawyer Society were present, including board member, Dolly Garlo, and were joined by leaders from diverse areas of legal practice and education. 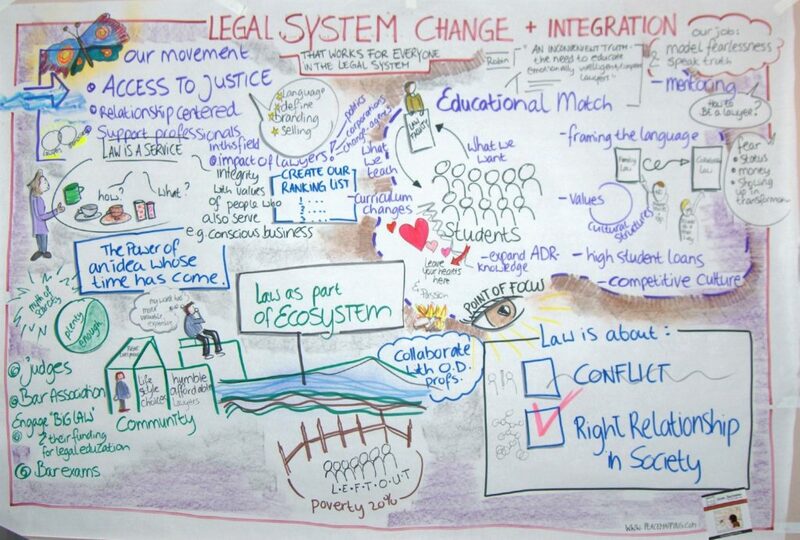 From restorative justice to collaborative law, mindfulness to sharing law, problem-solving courts to social entrepreneurship, peacemaking to legal education, coaching to crowdfunding, and values-based contracts to earth jurisprudence, we covered a wide range of innovations and transformations in law. The question: going forward what are the law and legal system all about? The next question: how do we make desired changes happen? The movement continued to grow. Even a dynamic website couldn’t keep up with the innovation. Social media replaced web content. Dozens of books were published, covering topics of interest to RLS. One of them was Kim’s second book, “Lawyers as Changemakers: The Global Integrative Law Movement“ published in 2016 by the ABA. How Can Renaissance Lawyer Support Your Interests? For the last few years, the board has been in a place of reflection, examining what is the role of a catalyst after the movement has spread. RLS is standing on the brink, looking to see what next steps will emerge from our community to create Innovation and Transformation in the practice of law. To that end, RLS provides support to individuals and groups whose projects forward our mission. Click here to learn more about our Fiscal Sponsorship program.